Another elevated tee shot awaits on this fine par 4, normally played into the wind. 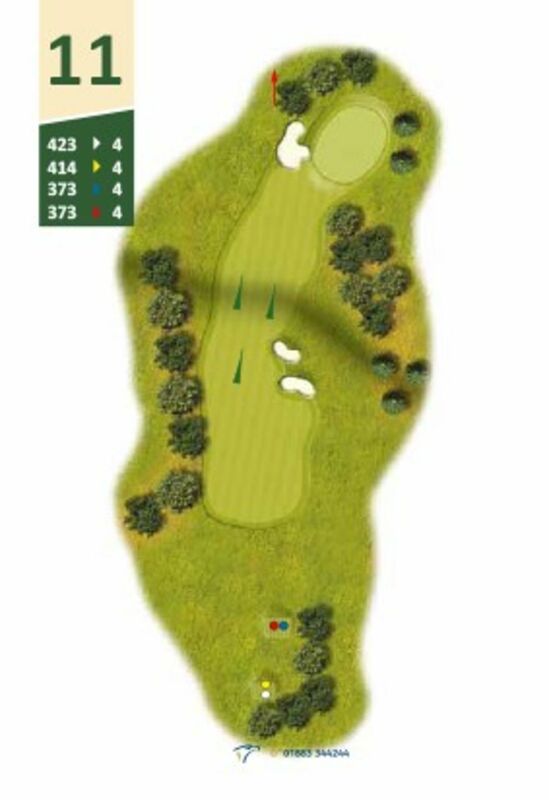 Take care to avoid the woods on the left which is Out Of Bounds, while navigating the big bunkers on the right. The green has a gentle slope from back to front. This is a deceptively difficult hole.